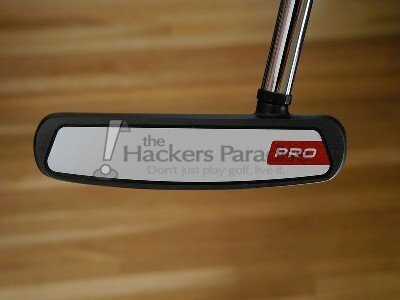 That’s the tagline that Odyssey is using to advertise their brand-new White Hot Pro line of putters. It’s an incredibly poignant statement and I don’t think they could have thought of something that better catches the essence of the series. The number of Tour users that Odyssey has built is staggering. It gives them instant credibility, as well as a license to push the envelope. They’ve released some curious designs in past years that have become quite successful, but at the same time they’ve held true to the basic fundamentals that have brought them to the top. The White Hot Pro series encompasses all of the things that have made Odyssey one the industry’s best. I’ve been reviewing a selection from this line, called the V Line, and will be highlighting it’s features and technology today. The White Hot Pro line features tried and true Tour models, a Gun Metal PVD finish and the most consistent, best feeling White Hot insert we’ve ever created. With more wins, top-10s and usage across the world’s Tours, our inserts have become an iconic part of the game. Through consistent testing with the best players in the world, our engineers have developed a new and improved White Hot insert that is more consistent in sound, feel and performance across the entire striking surface. The statement above does very well to describe what the White Hot Pro line is bringing to the table in 2013. Odyssey has taken many of the “All Stars” of past years and given them a good sprucing up. In fact, the White Hot Pro series features an astounding 16 different models to choose from, about half of which are also offered in a left handed version. Classic and proven designs like the 2-Ball, #7, D.A.R.T, and Rossie are all available with the White Hot Pro series. These are designs that have been proven at professional golf’s highest levels and having them all in one place is a great value to consumers. Better yet, they come with a very attractive price tag – $129.99 for most models, with some (including belly versions) in the $179.99 to $189.99 range. As I previously mentioned, I reviewed a newer shape to Odyssey, called the V Line. I’ve tested it both indoors, outdoors, and on the golf course over the last month. The V Line is described by Odyssey as “a perimeter-weighted mallet with a modified Hi-Def alignment system”. That’s a fairly simple explanation for a fairly simple putter, but there is plenty more to share about it. The V Line is a hybrid of sorts, taking cues from it’s the older 2-Ball V Line (they share a sole) and the #5 (a slightly smaller mallet of similar shape). 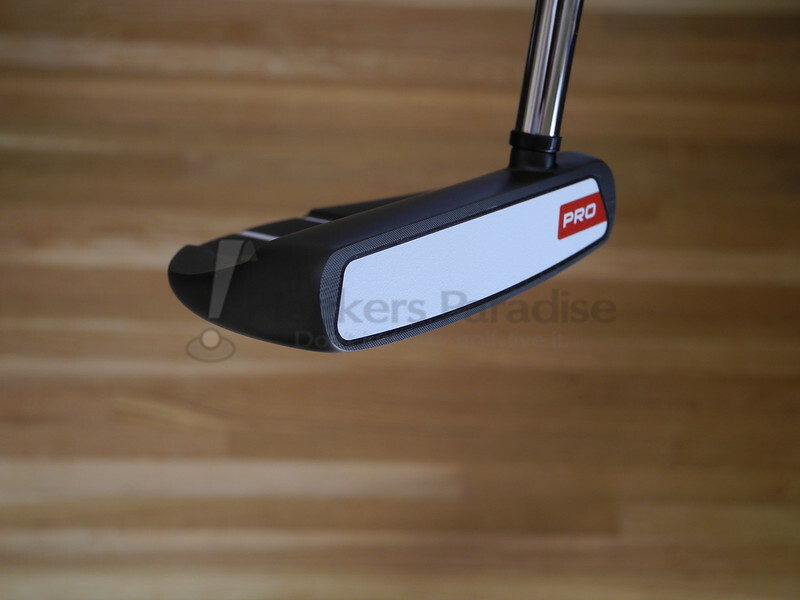 Odyssey lumps it in among its other face balanced putters, which is worth noting if you have a preference there. It’s been given a smoky Gun Metal PVD finish that not only looks incredible, but functions to eliminate glare and increase durability. In ways, the lines of the V Line are similar to the Sabretooth, minus the futuristic appearance. The flange softly drops off the face at the heel and toe and flattens out in the middle. Three bright and distinct alignment lines sit in the flat center portion of the mallet, which should be appealing to a number of golfers out there. In hand, the V Line is nicely balanced, being neither too heavy nor too light in the head. The offset shaft presents a look that many of us are very familiar with at address. The sole is slightly V shaped, mostly flat and simply designed. Interestingly, part of the sole’s design serves a very valuable purpose. If you take a look at the sole in the first picture above, you’ll notice a set of four lines ahead of the word “Pro”. You may also notice that only one of those lines is filled with white paint. That’s Odyssey’s way of marking this putter as face-balanced. It’s part of their new eyeFit fitting system and it’s worth taking a look at before you head to the golf store. The different number of painted lines on the sole of each putter put it in either the face balanced, slight toe hang, moderate toe hang, or advanced toe hang category. It’s shopping simplified, which is always something I like to see. As a larger, perimeter weighted mallet, stability is a strong suit of the V Line. It performed nicely on off-center strikes, both in retaining enough momentum to get to the hole and in resisting opening or closing of the face. 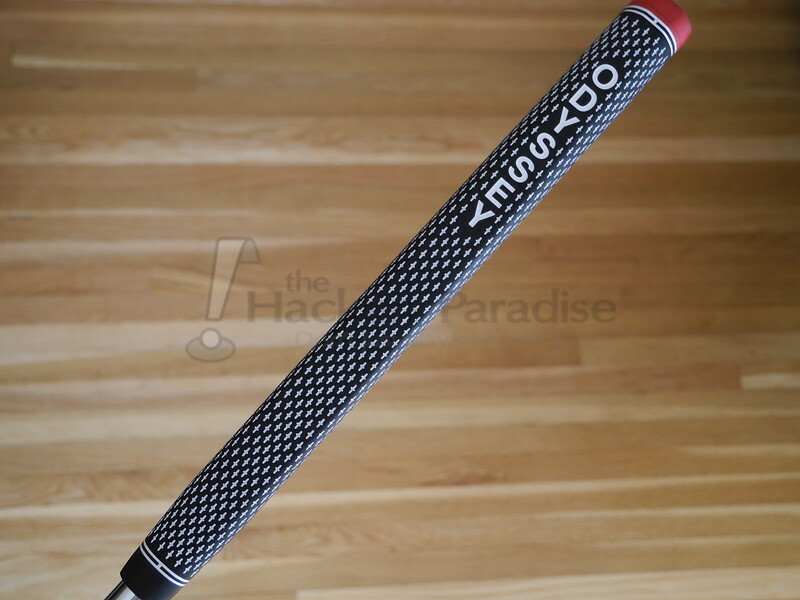 Lastly, Odyssey has changed their stock grip up a bit for the White Hot Pro series. It’s reminiscent of the classic Crossline style that many of us are familiar with. It’s a timeless look, but there is a part of me that misses the softer grips we’ve seen on White Hot putters in the past. Odyssey seems particularly proud of this iteration of their bread and butter insert. It’s a bit of a throwback in that that they’ve tried to match what is still their most widely used insert on Tour, the original White Hot. However, they are touting new manufacturing processes, including laser cutting, that are designed to make it more consistent across the face. To me, the White Hot Pro insert screams classic Odyssey. It’s undeniably soft and offers a sound and feel that is just like coming home. It should be instantly familiar to any golfer that has spent time with a White Hot putter in the past. It’s soft without being spongy and gives the ball a quick forward roll. As an added touch, the White Hot Pro got a bit of a facelift that I found quite visually appealing. It’s bright white and surrounded by some simple face milling. The word Pro is featured loudly in red background to one side, which makes it quite obvious which putter this is. Harry Arnett described the White Hot Pro series as Odyssey’s “fast ball down the middle”, which truly suits the spirit of the series. It’s classic, undeniable Odyssey – proven at muni’s and Majors alike. The strength of this line comes from a large number of tested designs, which gives golfers the numerous options that they seem to desire so much. Attractive styling combines with a throwback insert to provide something that should be both pleasing to the eye and comfortable in the hands. 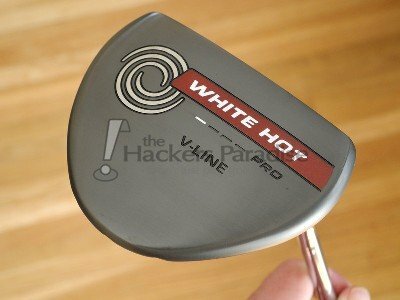 For more information on the White Hot Pro line, including the V Line that I tested, you can head to Odyssey’s website, www.odysseygolf.com. Wow, great review Hawk. I am glad Odyssey went back to this insert vs last years, much better feel, IMO. Also, the new V Line design looks phenomenal, and it is a design that is right up my alley. Well done! Really cool to see what they did with bringing back all of the familiar heads and touching them up before placing them into one new lineup. The price point is extremely solid. Only thing I don’t personally like is the offset shaft but that’s all personal preference obviously. Had no idea about the alignment lines indicated the type of balance in the putter, extremely smart of them to do that and make shopping easier for the educated consumer. Great review Hawk. I love that Odyssey has classified all the models of their putters through the EyeFit system. The #2 CS White Hot Pro will be mine someday. On a Author’s note, your Author Profile is in need of updating with the arrival of Lil Hawkess. I’ll admit, I’ve never been a White Hot fan but the feedback about the Pro insert has me intrigued. The V-Line doesn’t fit my wyw but I could see a LOT of mallet guys falling in love with that head-shape and alignment system. Fantastic review Hawk, as always. I did not know about the eye fitting system. That could be very useful in picking out a particular putter for ones liking. I was glad to hear that they went with the older style insert too. 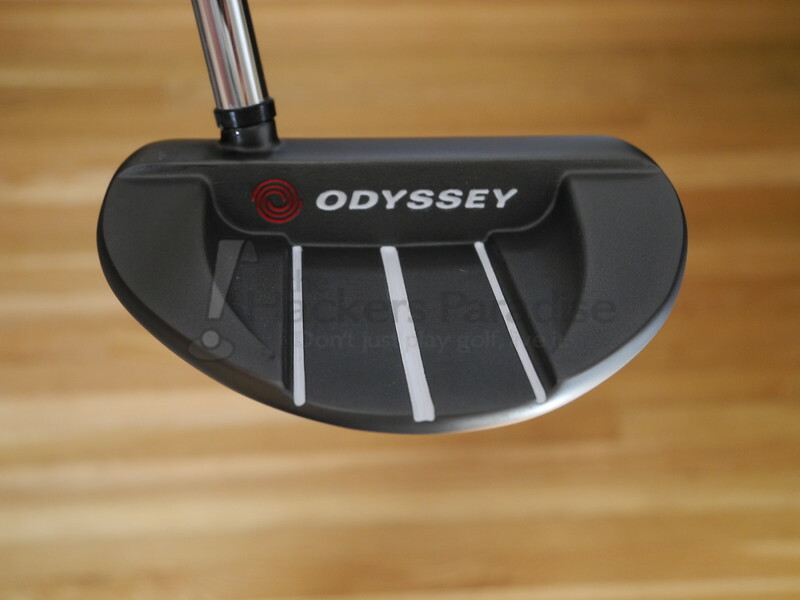 I personally like it, as I have at least five different Odyssey putters, and I really liked the older inserts. Thanks for doing that Hawk! Glad the inserts are new and improved over the previous years! Excellent review Hawk. I have been able to roll a White Hot Pro on multiple occassions and you’re exactly right, it is familiar “just like coming home”. I like the feel and the sound of the insert a lot. The proof of the Odyssey goodness is definitely in the pudding as it seems every week you see another Odyssey putter in the bag of a top notch tour player. That to me says all you need to know right there! Thanks Hawk! As always, excellent thoughts coming out of the mind of Ryan!! I happen to think this is one of the best inserts available to Odyssey enthusiasts this year! Ryan good stuff buddy. I think you covered everything and then some. I rolled this a few times at the Annika academy. I like this insert so much more than the metalX and it does remind me of the original but slightly softer.